Classics for chore and field wear, with close-out savings! This Mil-Tec® Boonie Cap features tri-laminated waterproof construction: the inner and outer layers are nylon, and the inner layer is waterproof polyurethane. Keeps the water off your head, but still breathes thanks to the vent holes. 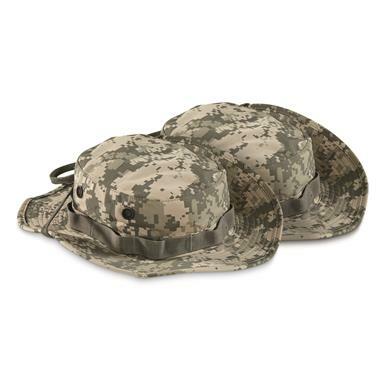 Mil-Tec Boonie Hats, Digital Camo, 2 Pack is rated 5.0 out of 5 by 1. Rated 5 out of 5 by Cesar from Great boonies, great price! Please get more in XL, I need spares! !